A full service manufacture and dye house specializing in medium to large private label packages. Modern 55,000 sq. ft. facility complete with in-house cutting and sewing. Pattern Making, Design, Graphic Prints. Garment Dyeing, Washes, Dyeing Techniques. Inspection, FOB, Fold and Pack. 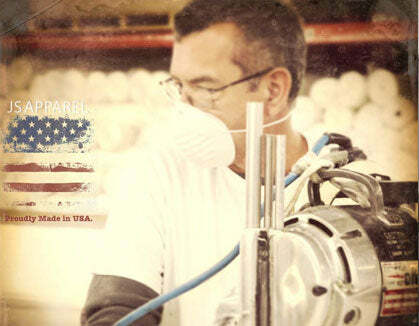 Made in the USA means big benefits for your brand. 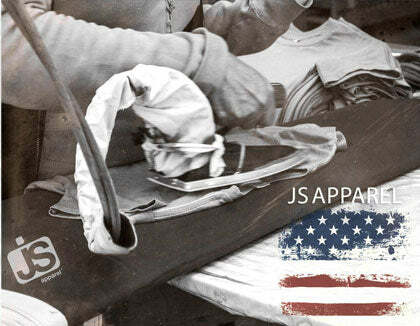 Speed, transparency, ease of communication and supreme quality, JS Apparel is leading the resurgence of Made in the USA manufacturing. In-stock men's and women's t-shirt available. Design and Sample Department complete with pattern making, grading and PP samples. Graphic Arts Department for sublimation, silk screen and embroidery designs. Garment Dyeing Division for the latest dye and wash techniques. Conveniently located modern 55,000 sq. ft. cutting and sewing facility.